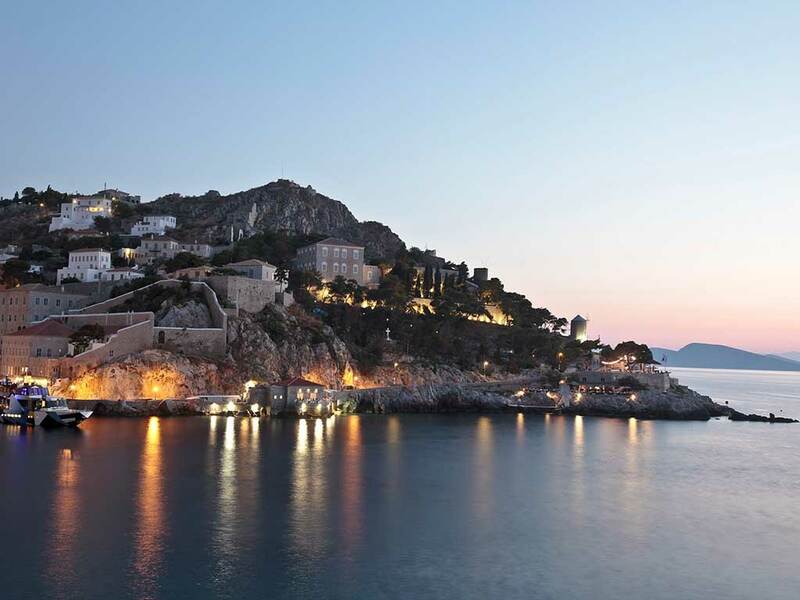 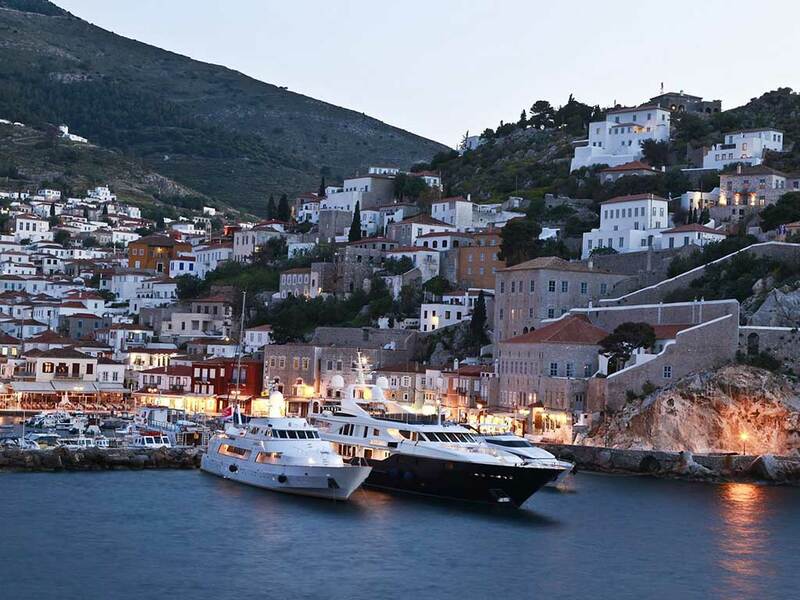 When night begins to cast its black veils towards the historical "rock" of Hydra, you can admire the spectacular sunsets while the sun setting on the opposite mountains of Peloponnese and and colouring the sea gold and purple. 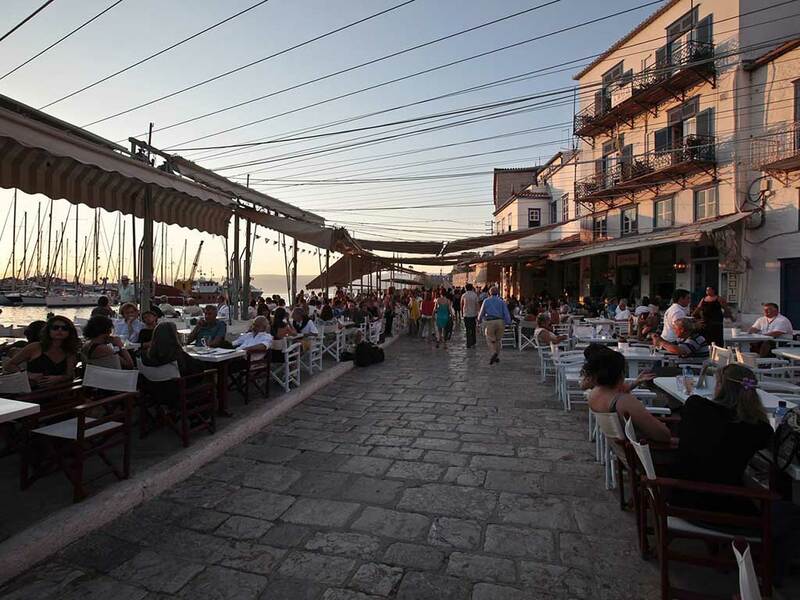 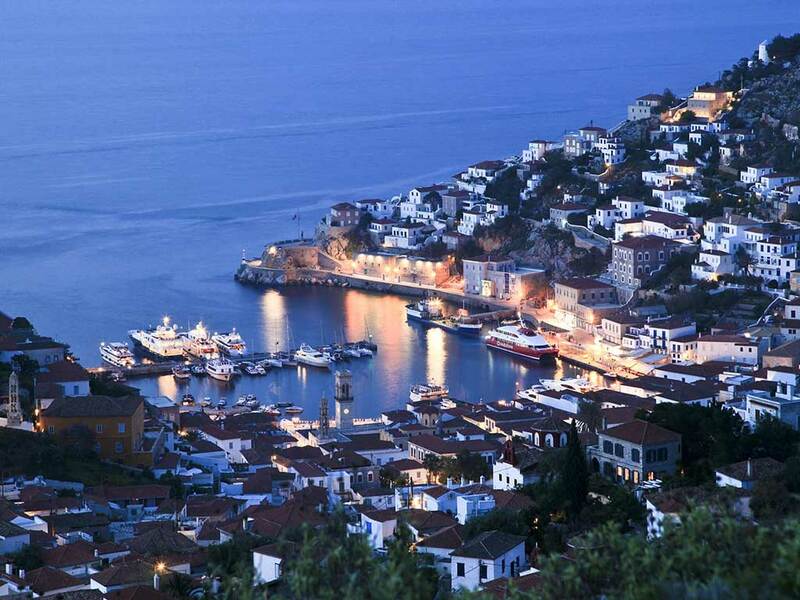 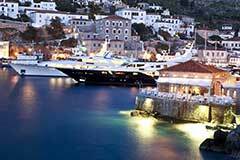 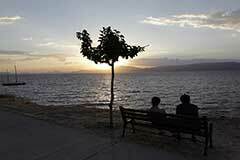 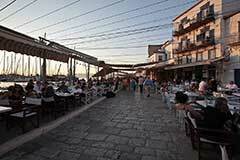 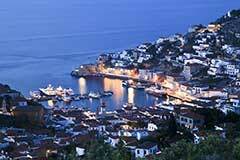 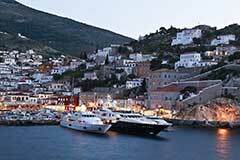 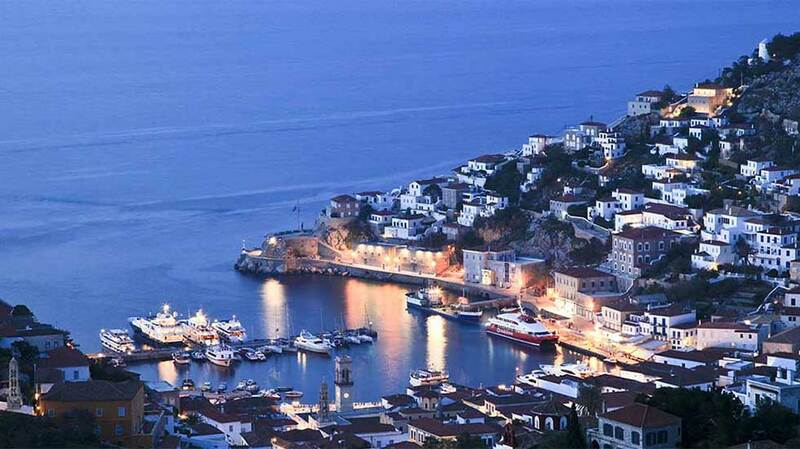 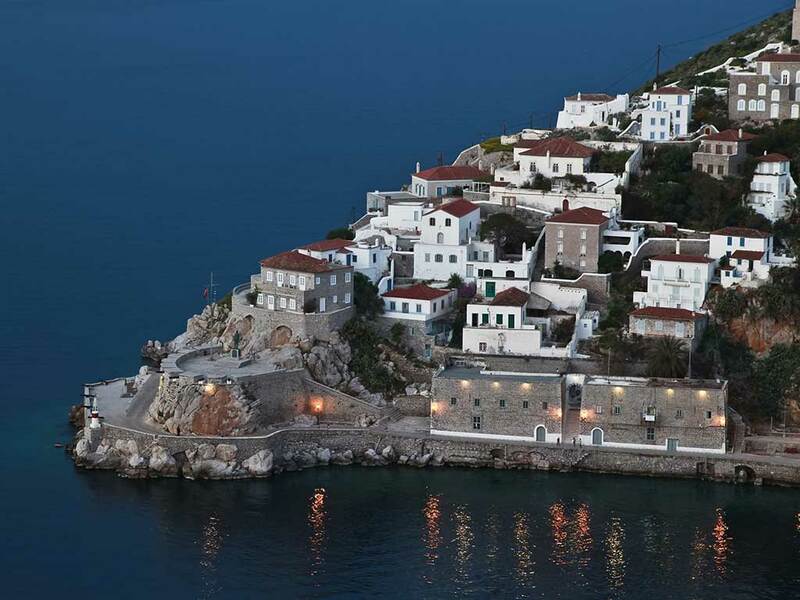 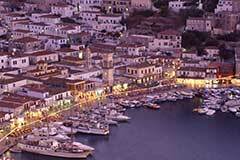 Night "brings" the best of Hydra and becomes more cosmopolitan as the crowd go to the beach and fill the cafés, tavernas, the restaurants and the bar-club along the beach. 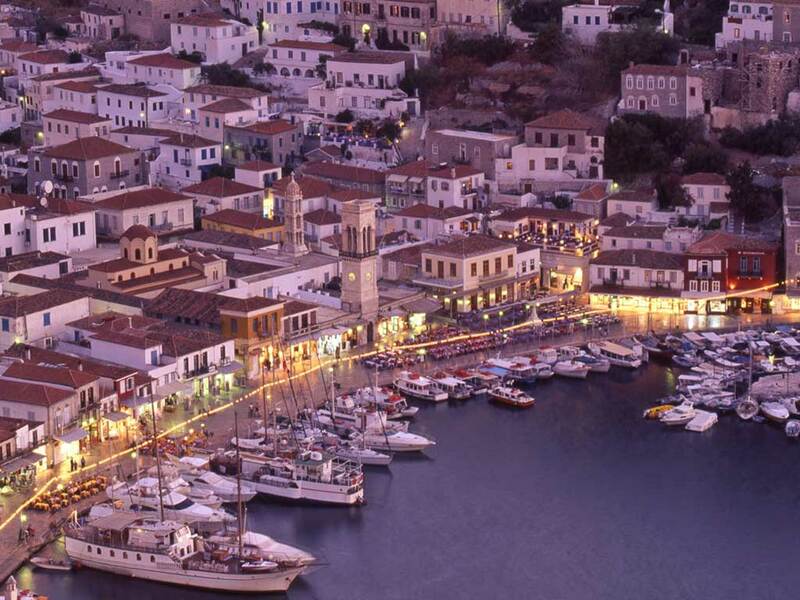 in the island and create moments that you will keep them in your heart for a lifetime.